Ford Motor Co. and General Motors Corp. are offering payment protection plans to help reassure consumers who may be putting off buying a new car because of worries about losing their job. Hours later, GM said it will make a similar offer. GM's new CEO, Fritz Henderson, said the company's "Total Confidence" program will make up to nine car payments of $500 each for customers who have lost their jobs through no fault of their own. Customers must qualify for state unemployment to be eligible for the program. The program starts April 1 and runs until April 30. Hyundai Motor Co. launched a program in January that allows buyers to return a vehicle within a year if they can't make the payments due to a job loss or disability. The company said the program helped it avoid a double-digit sales decline last month, reporting a 2 percent slide. 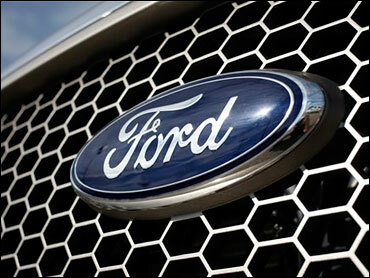 Dearborn, Mich.-based Ford is also offering zero percent financing on certain Ford, Lincoln and Mercury vehicles. "Consumers remain anxious about the economy and their own outlook for the future," Ken Czubay, vice president of sales and marketing, said in a statement. The announcements come a day after President Barack Obama said the government will back new car warranties issued by GM and Chrysler LLC, who have accepted federal assistance and are seeking more, to help boost consumer confidence about buying their vehicles. Ford has not requested federal bailout funds. Ford also said it would partner with its dealers to introduce a program that would help local charities affected by the economic downturn. Ford's shares rose 13 cents to $1.83 in morning trading Tuesday. GM shares were down 32 cents to 2.38.